OK, so I now knew same basic facts about the flag. But what it is really doing? As next I turned to SCN to check if there is something about this feature. I found few forum threads: here and here but they do not say much about it. I continued to search on SAP Notes/KBAs. 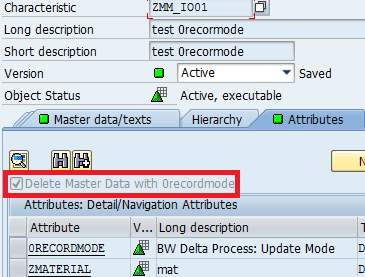 Here I found following KBA “1599011 - BW master data loading: Changed time-dependent attribute is not updated into master data table from DSO”. And here it was.